While literally millions of ships of all shapes and sizes have been built over the centuries, only a handful have achieved anything approaching fame. Most of those that have done so, however, were warships or vessels that displayed such a degree of innovation that they were considered prototypes in the evolution of ships. Other ships, however, achieved notoriety, not through their accomplishments or because of their technological innovations, but through catastrophic failure. In fact, the sea beds are littered with examples of the power of both nature and the human propensity towards violence, miscalculation, and simple bad luck. Of course, only a few vessels that met a tragic fate are recalled by most people today, though their reasons for doing so are as varied as the types of ships themselves: Some became famous as vessels of war whose demise triggered a conflict or made such a major contribution to a conflict that it was remembered in its own right; others became famous because they carried huge fortunes in their holds when they went down or because of the huge loss of life that resulted from their sinking. A few even became famous because their loss was so unexpected and mysterious that they became the stuff of legends. Unfortunately, there are literally dozens of famous shipwrecks throughout history to choose from, making it difficult to narrow it down to just ten, but this is my best effort. While most people imagine the vast oceans to be the most dangerous waters to sail upon, some of the roughest waters in the world are actually experienced on the Great Lakes, which has more non-war related shipwrecks per square mile than any other body of water in the world. Without doubt, the most famous of these took place on November 10, 1975, when the gigantic ore carrier Edmund Fitzgerald, at one time the largest ship on the Great Lakes and holder of numerous tonnage records, was caught in a vicious November gale and, after hours of battling high winds and 30-foot waves, suddenly disappeared from radar without as much as a single distress call, taking all twenty-nine members of her crew down with her. 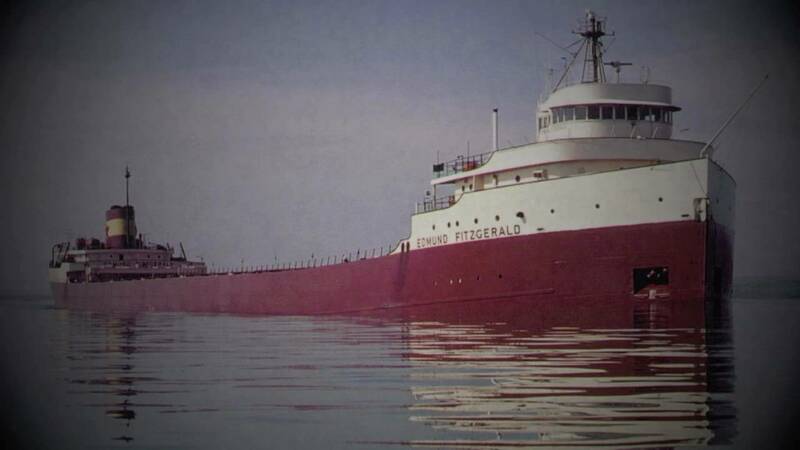 The loss would likely have remained little known outside the Great Lakes maritime community had not singer/songwriter Gordon Lightfoot written a popular song about the sinking in 1976, immortalizing the ship’s demise and making her the most famous shipwreck on the Great Lakes. While the precise cause of the sinking has never been determined, later surveys done on the wreck revealed that the 800-foot long craft broke in two, suggesting it either “bottomed out” on the shallow lake bottom and broke in two, or it was wrenched in two by a rogue wave and plunged to the bottom of the lake in mere minutes. Whatever the cause, the ship remains off-limit to divers as a grave and continues to serve as a reminder that even the largest vessels are no match for the Great Lakes when—as the song says—the gales of November come early. Though a comparatively tiny vessel whose foundering during a gale off notorious Cape Hatteras, Virginia on new year’s eve, 1862, taking sixteen of her crew down with her, was barely noticed by the press at the time, the sinking spelled a tragic end to one of the most revolutionary ships of its era. The brainchild of a little known naval engineer by the name of John Ericsson, the Monitor, in being the first all-metal, turreted warship in history, became the prototype for what would become the standard for warship design for the next century and a half. Derisively called a “cheesebox on a raft” by both sides, the little ship changed the face of naval warfare forever when it battled the South’s own ironclad warship, the CSS Virginia, to a draw off Hampton Roads, Virginia in March of 1862. While the battle did little to affect the outcome of the war, it signaled the end of wooden sailing vessels with fixed cannons and initiated the age of steam-driven, ironclad warships with revolving turrets, making the battle—and the ship—one of the most important in history. The ship’s precise location remained unknown for over a century until it was located 16 miles off the Virginia coast in 1973, after which is was designated a national historic landmark, making it off-limits to divers and salvagers. Eventually, however, the government gave authorization for elements of the ship to be brought to the surface, resulting in the recovery of its massive steam engine and, in 2002, its revolutionary turret. The site is now under the supervision of NOAA, with many artifacts from the ship, including her turret, cannon, propeller, anchor, engine and some personal effects of the crew, being put on display at the Mariners’ Museum of Newport News, Virginia. While not the most famous passenger liner ever to sink, when the luxurious flagship of the Italian Line collided with the Swedish liner Stockholm in heavy fog off the coast of Massachusetts in July of 1956 and sank a few hours later, it came as quite a shock to the world. What made it such a surprise was not the scale of the catastrophe—only 46 of the 1660 people on board died as a result of the collision—but the fact that such a disaster was even possible in an age of radar and high tech ship-to-ship radio communications. It was also famous for being one of the few major ship sinking ever filmed while it was happening, giving the world a bird’s-eye view of the proud and beautiful ship’s final moments and forever cementing her in maritime legend. Eventually the fault for the collision was placed on both captains for not only plunging through the pea-thick soup at over twenty knots, but for managing to completely misinterpret what their counterpart was doing. It might have even been funny had not it ended in the loss of life and the sinking of one of the most expensive ships ever built. Today the Andrea Doria remains one of the world’s most popular diving sites (it’s even referred to as the “Mount Everest” of deep-sea diving), though because of its depth and the rapidly deteriorating condition of the wreck, it remains a treacherous site to dive on—as evidenced by the fact that it has claimed the lives of half a dozen divers over the years. It’s probably safe to say that few people have ever heard of the Wilhelm Gustloff, making it reasonable to ask why it would make it into my top ten most famous shipwreck list. The reason is because this list is not just about the most famous, but the most significant shipwrecks as well, in which case this German liner easily fits the bill. What makes it so? The fact that it was responsible for the largest single loss of life in maritime history when the overloaded vessel—fleeing the advancing Red Army into northern Poland in the winter of 1944-45—left the port of Danzig (modern day Gdansk) one cold January evening in 1945 only to be sunk by a Russian submarine shortly after reaching the open sea. Not only did it sink in a matter of minutes, but with a water temperature just a degree or two above freezing, even those not trapped below decks had a minimal chance of surviving in the frigid waters of the Baltic. The final death toll from this horrific event? No one will ever know the precise number of people who died when the Gustloff went down as the ship had no passenger list and, as a refugee ship, was loaded to three times her normal capacity. However, best estimates are that as many as 10,000 people were jammed onboard the ship, with a mere 900 or so managing to be rescued from the frigid waters, making it the greatest loss of life from a single ship sinking in history. Warships are usually sunk as a result of the outbreak of war; rarely are their sinkings the reason for starting the war in the first place, but that’s exactly what happened when the small but powerful little battleship Maine blew up in Havana harbor shortly after dusk on February 15, 1898, killing 261 of her 355-man crew. Though the cause of the explosion—which literally blew the ship in half—remains a source for some debate even to this day (a coal bin fire setting off ammunition in one of the ship’s magazines being considered the most likely reason), within weeks of the disaster investigators announced that the ship appeared to have been destroyed by a mine attached to her hull. Since relations between the United States and Spain were already pretty dicey as a result of Spain’s iron-fisted efforts at putting down a large-scale rebellion in Cuba, most Americans quickly jumped to the conclusion that the Spanish had destroyed the ship (despite the lack of logic in doing so) and demanded retaliation. Buckling to public pressure and spurred-on by the jingoistic flavor of the press of the day, a few weeks later the McKinley administration declared war on Spain, resulting in one of America’s shortest and most successful conflicts (the Persian Gulf War being the other). Fortunately for the largely under-armed United States, Spain was already in decline as a world power and lacked the means to adequately defend its overseas colonies, forcing her to surrender after just three months and cede Cuba, Puerto Rico and the Philippines to the United States. The victory marked America’s entrance onto the world stage and her ascension as a genuine colonial power and the rest is, as they say, history. So what became of the demolished battleship? Few ships manage to both sink on their maiden voyage and be one of the most dangerous vessels ever to sail the seas at the same time (as well as even have a song written about it), but the massive German dreadnaught managed to do all three. The pride of the German navy and a ship once described by Winston Churchill as, “a masterpiece of naval construction,” the fast and heavily armed warship ran roughshod over the Royal Navy for eight days in May of 1941, during which time she shocked the British by blowing the famous battlecruiser Hood out of the water and badly damaging the spanking-new battleship Prince of Wales off the Icelandic coast in a battle that lasted all of twenty minutes. Finally cornered off the coast of France on May 27th, 1941 by the British battleships King George V and Rodney, the damaged ship put up a furious fight against the overwhelmingly superior British force before finally succumbing to the onslaught and slipping to the bottom of the Atlantic, taking all but 115 of her 2,200 man crew down with her. The ship’s precise location remained largely a mystery until 1989, when she was located by Dr. Robert Ballard (the guy who eventually located the Titanic-see no. 1) and his team using side-scan sonar and submersibles. Remarkably, because of her heavy-duty construction, the ship remains largely intact on the seafloor despite the battering she took, and stands today as a silent reminder of the immense cost and futility of war. 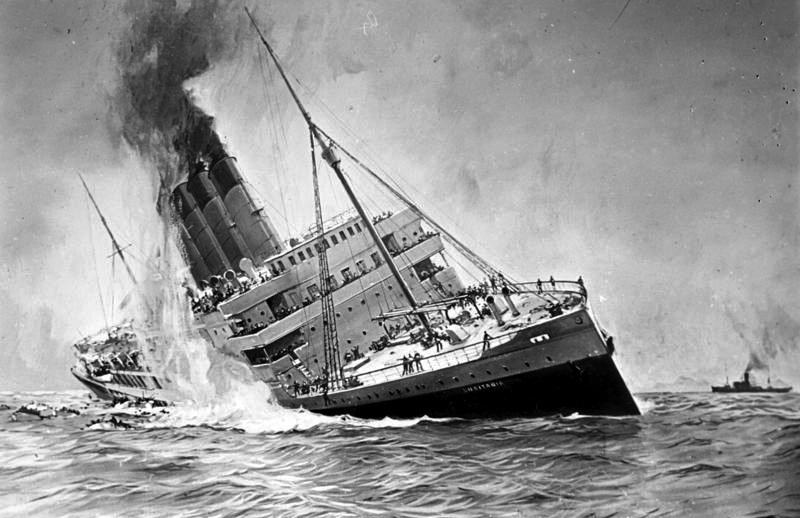 While not quite as famous as the similarly sized liner Titanic, in some ways the sinking of the Lusitania was even more important in terms of historical ramifications than was the loss of her better known colleague. While the loss of life was less—1,200 men, women, and children drowned when it was sunk by a German submarine off the Irish coast on May 7, 1915—its loss served as a catalyst for America’s eventual entry into World War One, which likely changed the outcome of the war and ensured the allies victory. The sinking was not without other controversy as well: What was especially suspicious about the ship’s quick descent to the bottom was that it was done in by a single torpedo when smaller vessels often survived such a hit, leading many to suspect that the civilian liner was illegally carrying munitions on board. Though the charge was roundly denied by British authorities at the time, years later it was demonstrated that the British were, indeed, using civilian ships to carry munitions and other instruments of war in clear violation of international treaties. That doesn’t necessarily justify the killing of innocent civilians, of course, but it did make the British government somewhat culpable for the catastrophe—a prospect they are loathe to admit to even to this day. What makes this wreck so famous is not only that its loss signaled the start of World War Two in the Pacific, but that it is the only shipwreck one can visit without diving equipment or even getting their feet wet. Sunk in the opening minutes of the Japanese surprise attack on Pearl Harbor, December 7, 1941 with a loss of nearly two-thirds of its crew, the ship served as a symbol American resolve that was to carry the country through the darkest days of World War Two. Today the ship remains the most famous war grave in the world and one that sees more than a million visitors each year, who come to visit the memorial built over the rusted remains of the once mighty battleship. Despite having been immersed in salt water for nearly seventy years, the ship is remarkably intact, however. It also remains an active gravesite, with the cremated remains of the surviving crewmen still being occasionally interned within the hull of the World War One-era dreadnaught as they pass on to join their long-dead shipmates. Selecting the most famous shipwreck is easy. In fact, more people know about this ship and its ill-fated maiden voyage—especially as a result of the 1997 James Cameron movie—than any other ship in history. 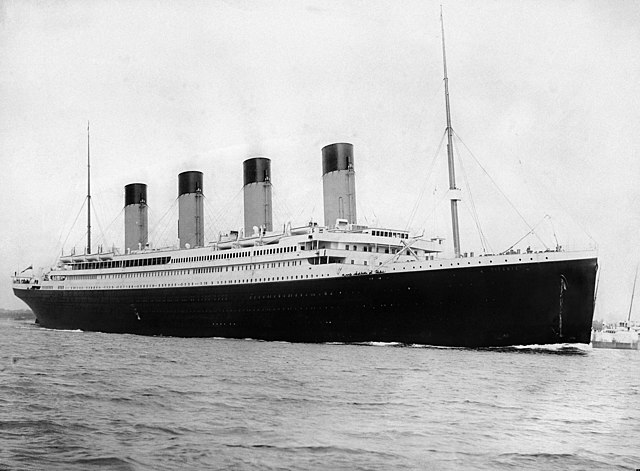 Of course, everyone knows what happened by now: the White Star liner, fresh out of the shipyard and sparkling new, was on its maiden voyage from England to New York when it hit an iceberg just before midnight, April 14, 1912, opening her up like a sardine can and sending her to the bottom in just a few hours. While such a length of time should have given those onboard plenty of time to get off the doomed vessel, the ship carried fewer than half the lifeboats required, dooming over 1500 men, women and children (out of the over 2200 onboard) to a watery grave and giving the status quo quite the black eye. The only positive thing to come from the tragedy was improved safety and communications procedures being implemented throughout the maritime community (which, in the long run, probably saved more people over the next few decades than were lost on the Titanic). The ship’s precise location remained unknown for the next seventy years until it was located by a team of oceanographers led by the famous Dr. Robert Ballard in 1985, thereby opening the doors to renewed interest in the famous ship (and probably making the subsequent Cameron film, parts of which were filmed on the actual wreck nearly two miles beneath the surface of the Atlantic Ocean, so popular). Jeff Danelek is a Denver, Colorado author who writes on many subjects having to do with history, politics, the paranormal, spirituality and religion. To see more of his stuff, visit his website at www.ourcuriousworld.com. Cape Hatteras is in North Carolina, isn’t it? I’m fairly certain. Yes it is – along the Outer Banks. For me the sinking of the former dutch ship “Johan van Oldenbarneveldt” in (if I remember correctly) 1963. Only because my mother served on her for 5 years in the 50´s. The ship served in WO2 as a troopcarrier and after the war was refitted. From then on she brought dutch emigrants to Canada and Australia and on the way back she repatriated dutch for Indonesia. (the Canada/Indonesia leg through the Panama canal was most liked sinse there were no passengers). However at the end of the 50´s she was sold to a Greek company. They used her for cruises on the Mediterian. One day there was a fire which could get away fast due to bad maintenance and training. It became a scandal when it became clear the captain and officers were first to leave the ship without any concern for passengers and crew. Only a just few years ago the captain was set free from jail. Thank you. We have corrected the image of the ship and linked to the source. Ken Marschall’s paintings, of the Titanic and Bismarck wrecks, never cease to impress. I was thinking of the same thing. Also the date you posted this is the anniversary of the sinking. I agree! This should of been on the list! A truly amazing and unique ship is the Vasa ship, a 17th century ship that was raised and restored. It can be seen at the Vasa museum in Stockholm. What? No mention of the Mary Rose? I second the Vasa. And what about the sinking of the White Ship, which was the occasion for a generation of misery and civil war in 12th-century England. (http://en.wikipedia.org/wiki/White_Ship ) I think you should expand your historical scope a bit. “Top 10 Most Famous Shipwrecks” vs. “The reason is because this list is not just about the most famous, but the most significant shipwrecks.” A famous wreck no one has heard of isa an oxymoron, but the author juswt another moron. I love them shipwreck stories.